Do You Know about these Programs that Transform Aging Adults’ Lives? | Home Health Care, Inc.
Now, living 30yrs longer than several generations ago, rather than evoking celebration or innovation, the prospect of our longer life spans often creates fear and angst. Humans are wired to feel needed, respected, and purposeful. Sadly, too many aging adults suffer from pain caused by not having a reason to get up in the morning—longing to make a difference but, finding no role, are often treated as socially useless and even invisible. The absence of feeling needed, respected and purposeful is harmful to our health, as public health and social scientists have demonstrated. Happily, there is research and numerous programs that identify and solve this need. In a pivotal study in 1976, psychologists Ellen Langer and Judith Rodin, now president of the Rockefeller Foundation, examined the significance of autonomy and personal responsibility for the health of nursing home residents. One group of residents was told that they could arrange their room furnishings however they wanted, decide for themselves which nights to attend a movie, and choose house plants to keep and nurture. A second group of residents, advised that the staff “want to do all we can to help you,” had their furniture arranged for them, were informed which movie nights to attend, and were given a house plant cared for by a nurse. After three weeks, almost all residents in the first group experienced significant improvement in physical and mental well-being, whereas most participants in the second group declined or stayed the same. A follow-up study conducted 18 months later found, remarkably, that members of the disempowered group (which mirrored how we usually treat older adults) were twice as likely to die, compared to their empowered peers (30% mortality compared to 15%). Science suggests that beyond just feeling useful, a key need for successful aging is to feel you have contributed to leaving the world better than you found it. Too often, older adults, rich in experience and abilities, were being viewed through a lens of ageism that rendered their individual talents and achievements invisible. In our society, older adults are routinely dismissed as impaired, slow, or demented unless they can prove otherwise. Our negative attitudes towards aging blind us to the fact that millions of older adults are robust, active, functional, experienced, capable and talented—and want to remain engaged and contributing. Experience Corps offers roles that improve brain health by increasing older adult’s mental flexibility and problem-solving, and required mastery of new skills. They utilize the abilities of older adults to effect significant and positive social impact in a critically needed area, with impact well beyond what any one person could do alone. In doing so, these roles improve the physical and cognitive health and social well-being of older participants helping them contribute in a meaningful way. Results showed up to 50% decline in children referred to the principal’s office for behavior problems. A recent study examining the performance of almost 900 second and third graders found that elementary school students supported by Experience Corps achieved 60% more progress in reading comprehension and sounding out new words than comparable students not in the program. Complementary studies by researchers on the Johns Hopkins/Columbia/UCLA team and at Washington University have found that Experience Corps volunteers improved significantly in physical activity and mental health where volunteers reported improved strength. Those with arthritis reported less pain and those with diabetes reported they needed fewer diabetes medications to keep their blood sugar controlled. The Johns Hopkins Bloomberg School of Public Health led a small study using neuroimaging to examine if the Experience Corps program impacted cognitive functions in the ways we designed it to do. After six months in the program, the older volunteers with low and normal mental abilities for complex problem-solving had dramatically improved those abilities. Further, older volunteers in Experience Corps showed new activation in areas of the brain involved with complex problem-solving, compared with a control group with a similar level of education who did not participate. Happily, many other models of senior service have developed as well, and they significantly increase the availability of programs for senior volunteers that share the goals of Experience Corps. Especially notable among those groups are the three, longstanding, federal, Senior Corps programs: Foster Grandparents, Senior Companions, and RSVP (Retired and Senior Volunteer Program). These programs together involve 360,000 older Americans aged 55 and older in volunteer community service opportunities annually. 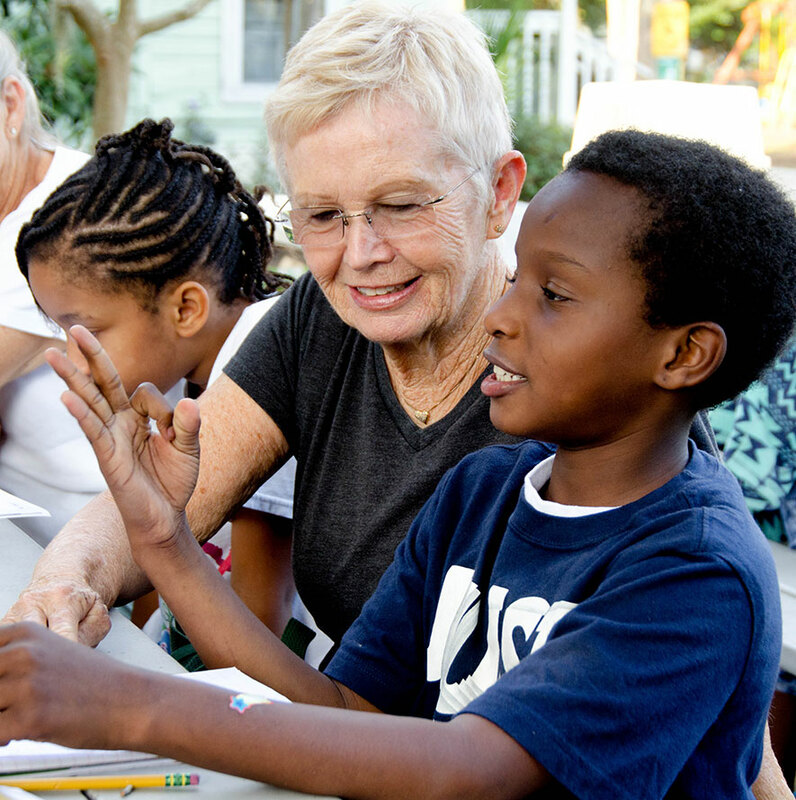 Foster Grandparents tutor children, mentor troubled teens and young mothers, care for premature infants and children with disabilities, and help children who have been abused or neglected. Senior Companions provide assistance and friendship to adults who have difficulty with daily living tasks and help them remain independent in their homes. RSVP gives volunteers a chance to use their skills and talents in service to their communities, typically organizing neighborhood watch programs, tutoring and mentoring youth, renovating homes, teaching English, and assisting disaster victims. 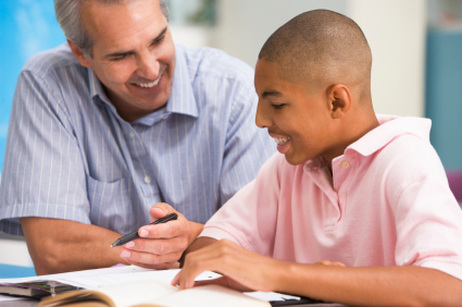 OASIS Intergenerational Tutoring Program, which enables volunteers to work one-on-one with children at schools to increase reading skills and esteem. Across Ages Program, which pairs older volunteers with young adolescents to reduce health risk behaviors. All of these programs deliver on principles from the landmark MacArthur Foundation study of successful aging, that found that the key ingredients for a high quality of life and maintaining a low risk for disease, is a high level of engagement with the community and high physical and cognitive function. All of these programs have measurable positive outcomes, typically for both the recipients and the volunteers. Volunteers had fewer health expenditures over a two-year period. Seventy-one percent of Foster Grandparents reported never feeling lonely. Senior Companions reported a willingness to continue engaging in volunteer activities, and RSVP volunteers had improved self-perception and satisfaction towards life. OASIS volunteers reported improved wellbeing. Another national model, ReServe, is creating new paid roles for older adults in high-need areas. The great news is there are programs in our area in Sonoma, Marin and Lake counties that enable aging adults to thrive and give back. Whether you are an aging adult or an aging adult is a loved one of yours, get involved with these programs that utilize a life time of skills to improve your own well-being and the well-being of others. Even if you are an aging adult or a loved one is an aging adult with limited ability to leave their home, talk with Home Health Care at 707-538-0679 about how we can help bring a higher level of engagement even while they are in their own home.